Five is better than six. Not many days 'till Skyrim release - I've personally decided to go with regular Edition because of current financial situation of mine is not so great. Hopefully I'll be able to pick up Elder Scrolls Skyrim IV at 11/11/11 on Friday to get on with it at the weekend! 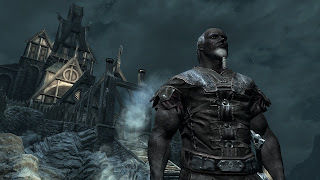 Topic today is Skyrim racial abilities and race comparison to previous Elder Scrolls game titles. 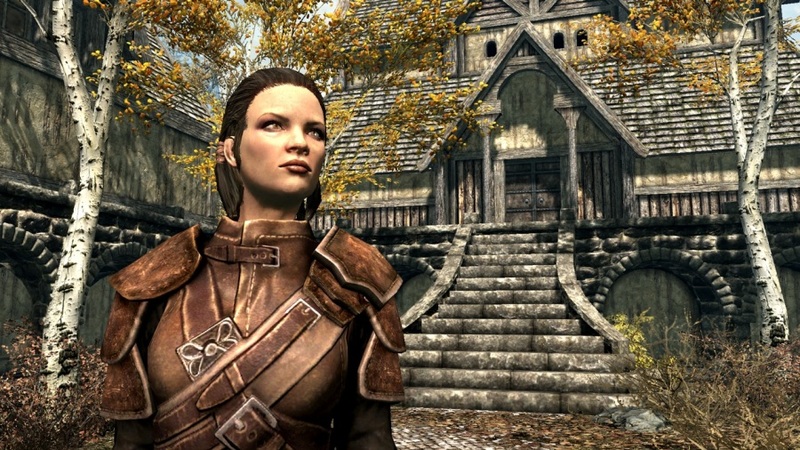 As we can see above the character models since Oblivion have gotten much better in comparison to Skyrim. The lowest row in the picture presents Morrowind, middle Oblivion and top row - of course - Skyrim. 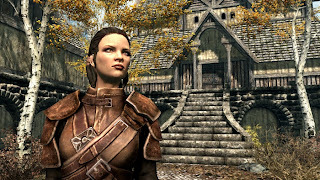 In my opinion some models actually look better in Morrowind than Oblivion. For example Khajiit, Orc and Dark Elves. 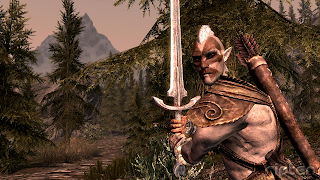 In Oblivion I pretty much only liked looks of Dark Elves really. I played Khajiit too but it was always challenge to modify the cat's face to look fine. 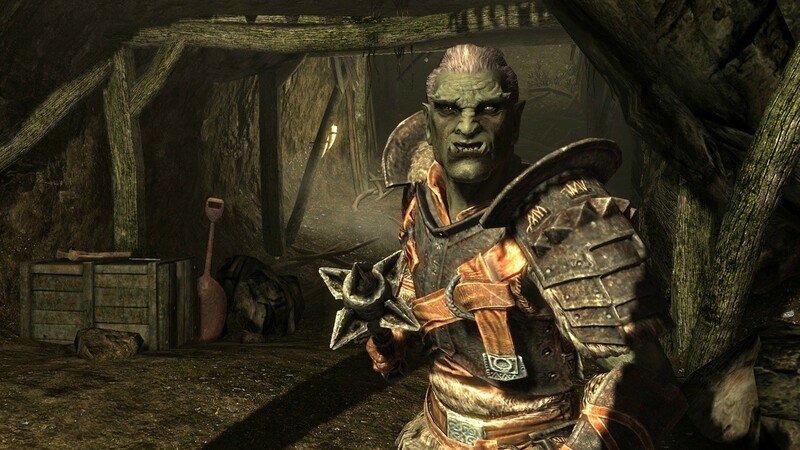 Oblivion models look pretty characterless and young, I mean they have certain "wax doll" look to them without many racial characteristics and details. 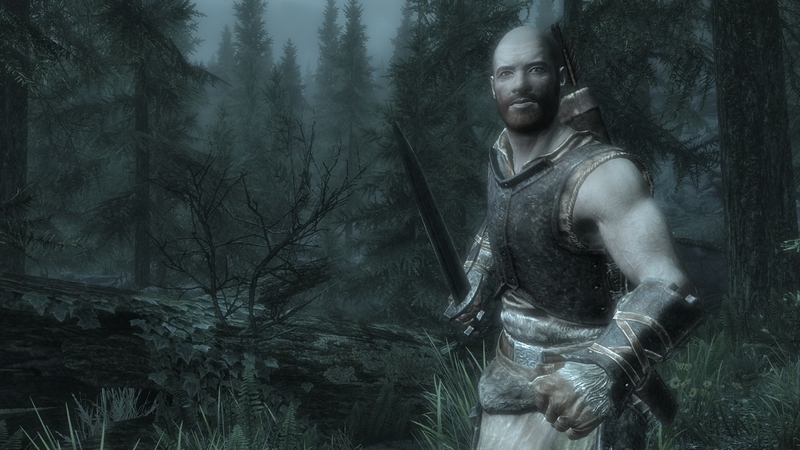 Skyrim models on other hand actually look very cool and more "adult". Huge improvement on Dunmer, Orc, Khajiit for example. I think my pick will be either Khajiit or Dark Elf. Perhaps Khajiit.. perhaps..
Every each of the races start with two basic spells which are "flames" and "healing". Flames does 8 points per second damage and targets on fire take extra damage. Healing heals the caster 10 points per second. Argonian are reptile like creatures with some human characteristics - hailing from province of Black Marsh. They are known to be great swimmers and able to breath under water. 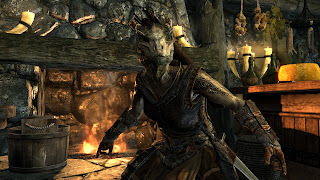 Argonians are skilled in sneak and pickpocketing, decent at magic and very agile. This makes them great thieves and also competitive mages. Histskin: Recover health 10x faster for 60 seconds. Resist Disease: 50% resistant to disease. Bosmer aka Wood Elf hail from foresty province of Valenwood. Their characteristics are very elf-like but with lighter skin than Dark Elves have. Due spending their lives in forests they know about ways of nature and survival. 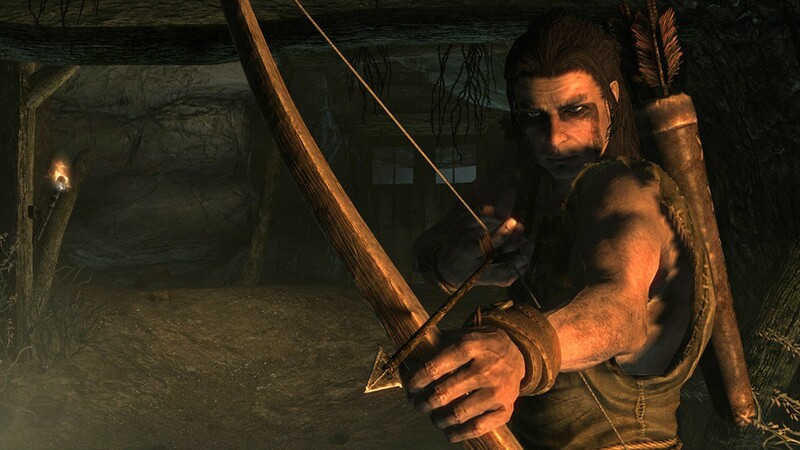 They've learned to stealth to their enemies and shoot enemy down with bow. 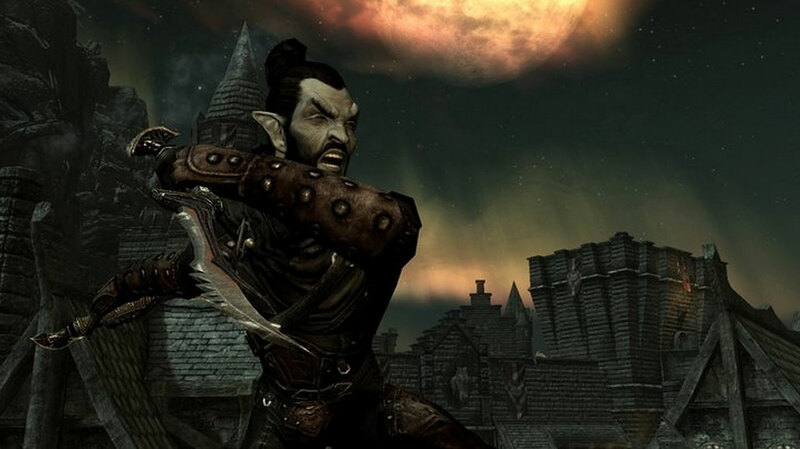 Bosmer are agile thus making them very good thieves and hunters. Resist Poison and Disease: 50% resistant to poison and disease. Command Animals: Make an animal an ally for 60 seconds. Altmer aka High Elf hail from Summerset Isle. They are tall gold-skinned elves who master any five schools of magic thus making them great mages. On the flip side their physical strength is weak and they are poor warriors. High Elves are perfect mages and stick better with to robe than armor. Their bonus to enchanting is definitely one point of interest. Highborn: High Elves are born with 50 extra magicka. Fury: Creatures and people up to level 6 will attack anything nearby for 30 seconds. Dunmer aka Dark Elf hail from province of Morrowind born out of ashes of "Battle of Red Mountain". They have elf-like characteristics but make exception with their dark-gray / dark-blue skin and red eyes. Their hair is usually presented as black or gray. Dark Elves are potential hybric class race since they master destruction magic but are also potential with blades and light armor. Sneaking gives potential of surprise attack. Resist Fire: 50% resistant to fire. Ancestor’s Wrath: For 60 seconds, enemies that get too close take 8 fire damage per second. Sparks: Lightning that does 8 points of shock damage to health and magicka per second. 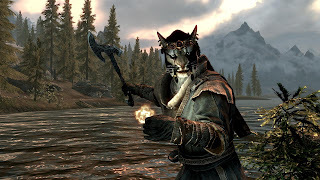 Khajiit (my favorite race by the way!) hail from deserts of Elsweyr. Their characteristics are cat-like appeareance - and they're not too tall either. They are known to be excellent thieves and assassins but are potent warriors also. Khajiit knows a way with one-handed weapons and is potent at archery. They also tend to have high lockpicking and pickpocket skill and ultimately high sneaking skill. This is boosted with a "night eye" ability allowing them not only to sneak better in the Skyrim nights but also see in the dark. Claws: Khajiit claws do 15 points of damage. Nords are tall - viking / barbaric like race from cold lands of Skyrim (that's where you're going in five days). Their characteristics are usually long brown hair and possible war paint on face. Nords have strong military-like background and they make excellent all-round warriors. They are exceptionally talented with big two-handed weapons guaranteed to crush their enemies. They are also gifted in light armor and clocking as well as capable with one-handed weaponry - which supports their warrior class potential. Nord's are charismatic thus making them fine speakers. They are not very good mages however. One point of interest is special bonus to "smithing" skill - one of the new skills in Skyrim - making Nord an interesting choice to start with. Battlecry: Target flees for 30 seconds. Resist Frost: 50% resistant to frost. Orcs hail from mountainy areas of Hammerfell and High Rock provinces - more accurately from Wrothgarian Mountains and Dragontail Mountains. Their race was long time hated and feared by other races in Tamriel, however they have slowly acquired acceptance of other races. This is mostly due their honorable service in Imperial Legion over years. Their characteristics are beast-like with green skin, scars and large spiked teeth. Orcs have quite a temper and aggression in their blood and they are strong and fearless. They make up great warriors due to this and physical toughness. They are not very good in magic though. They are specialized in heavy armor and blocking as well as two-handed weapons so they're guaranteed to take a few blows before going down and to strike back with force. In Skyrim Orcs seem to be the ultimate crafting race also since they have both smithing and enchanting bonus. Beserker: You take half damage and hit twice as hard for 60 seconds. Redguard hail from Hammerfell. They are dark skinned and muscular race with who are natural born fighters with ability to use Destruction and Alteration magic well. Redguard prefers one-handed weapon or a bow but are capable of using any kind or weapons or armor well and are fine smithes. They make fine adventurer or warrior. Redguards are also resistant to poison and have ability to have excellent battle stamina. Resist Poison: 50% resistant to poison. Imperial hail from Tamriel's capitol province Cyrodiil and thus are "sons of the emperor". They could be described as civilized race with social abilities. They are decent physically but not as durable as Orcs, Redguards or Nords. In Skyrim they seem to make up for potential hybrid class. They master Restoration magic and are decently good at Destruction magic. They can enchant better than average. Yet they also have good defensive battle skills like heavy armor and block as well as they can use one-handed weapons well. This could create fine defensive battle-mage. Oddly enough they seem to be also luckier than the rest. Imperial Luck: Imperials find more coins. Bretons hail from province of High Rock - a factious region which is divided politically but they still share the same language and culture. The story of Breton sounds pretty much that they would be "common man of the Tamriel". They came in many kind of persons from peasant to warrior, even mage. 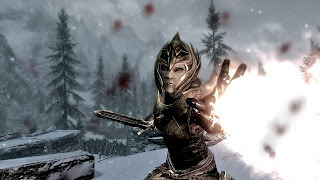 In Skyrim they seem to be leaned more towards spellcasting / diplomatic character seeing their Conjuration magic bonus is huge making them great for conjuring powerful allies fight to your side. They also grant decent bonus to magic schools of Illusion, Restoration and Alteration thus magic them potential mages. Bretons are extremely magic resistant race with Absorb Magicka and Magic Resistance racial abilities. Dragonskin: Absorb 50% of magicka from hostile spells for 60 seconds. Magicka Resistance: 25% resistance to magicka. Conjure Familiar: Summons a Familiar for 60 seconds wherever the caster is pointing. That's it this time folks. Series will continue in case new information of Skyrim comes out before the release. Other than that, enjoy the Parts of the Countdown thus far. 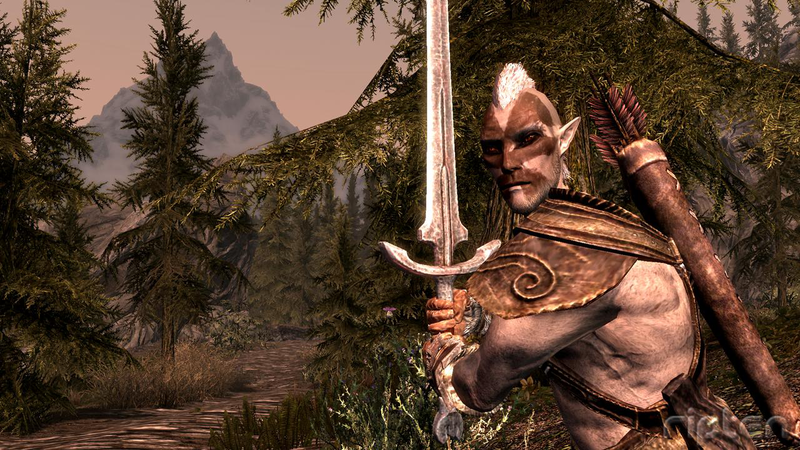 To me the most interesting ones are Khajiit, Dark Elf, Argonian and perhaps Bosmer. Stay tuned and feel free to tell your favorite! 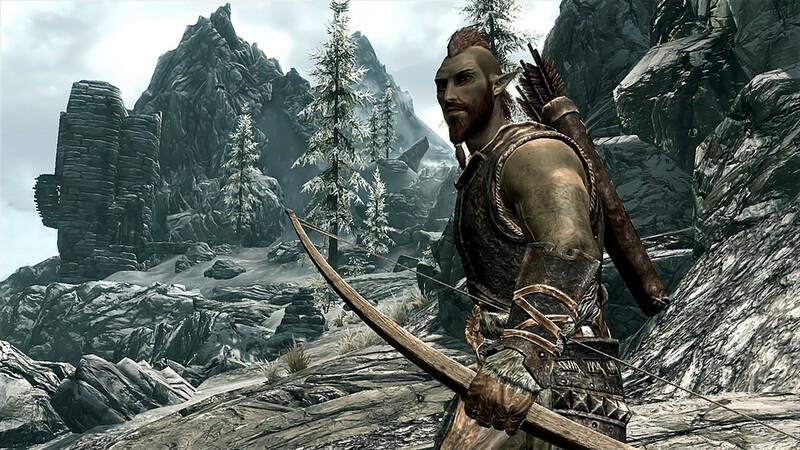 Thanks for Phill at Skyrimguild.com for article about racial starting stats info!